Dear partners! We continue to create additional value and make more opportunities for the cooperation. Late last year Premium-Line has become a member of the international non-profit telecommunications association BICSI. 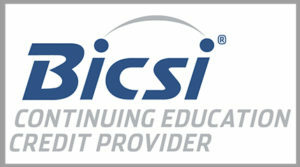 Today we are happy to announce that on February 2019, the company has officially become the Continuing Education Credit Provider and received BICSI CECs (Continuing Education Credits) for Premium-Line Installer Training. The CEC program is developed to standardize CEC strategy globally within BICSI. Continuing Education Credit Provider – an individual, company or organization that proffers educational activities or programs that qualify for BICSI CECs. Authorized CECs are valid for two years from the date of confirmation. Premium-Line Systems GmbH is becoming a part of the big movement to promote knowledge sharing. Information about our training is published on the BICSI website. Please note that this option is only available for BICSI credential holders and not for newcomers. For all questions concerning participation in the training, please contact to Vladyslav Ritskyi (vritskyi (at) premiumline-cabling.com), Technical Director of Premium-Line.